It’s been a stressful month for big wave surfers and visitors who love the North Shore surf culture on Oahu. 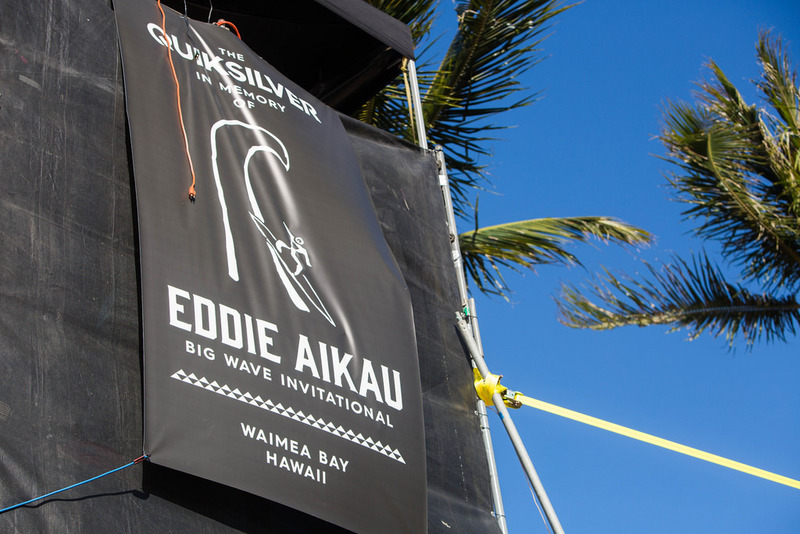 That’s because the Quicksilver in Memory of Eddie Aikau Big Wave Invitational ALMOST didn’t go this year, as a result of an ongoing dispute between Quicksilver and the Aikau family. But, last week, both parties announced they have amicably resolved their differences, which means one thing — Eddie CAN go! And, the holding period has already begun. About a month ago, the Aikau family announced a breakdown in talks with Quiksilver and the World Surf League, which meant the future of the surf contest was in jeopardy. Although Quiksilver has the city permit for this year, it couldn’t go — not without an agreement with the family. 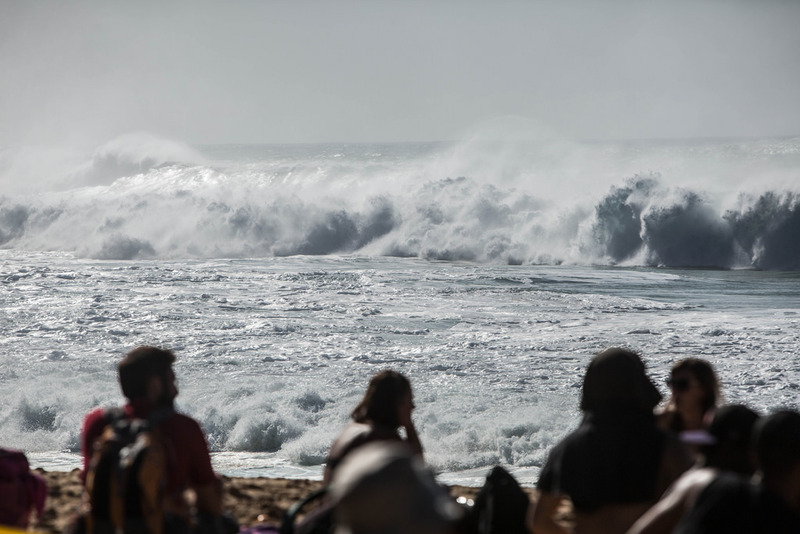 However, according to KHON, officials say Quiksilver and the Aikau family worked constructively together for the past several weeks to avoid interrupting the event’s 31-year track record. The World Surf League will produce the event and manage the broadcast and media. “We are proud to see the tradition of The Eddie continue without interruption, a testament to our respect for Eddie Aikau, the Aikau family, the Hawaiian people, and the community at large. We are very grateful for the efforts and support of the Aikau family and the World Surf League under the leadership of Paul Speaker who have all worked very hard with our team over the past few weeks to come up with a solution,” Pierre Agnes, Quiksilver’s CEO, told KHON reporters. According to the news station, beginning in 1985, the Quiksilver In Memory of Eddie Aikau Big Wave Invitational has been an invite-only big-wave event that takes place at Waimea Bay on the North Shore of Oahu, where the late Eddie Aikau served as the North Shore’s first lifeguard. Waimea Bay is one of the most popular stopping points during Hawaii Aloha Travel’s Circle Island Tour, and when you book a tour this winter, you’ll certainly see why! It’s common to see wave heights topping 10-15 feet during surf season. The Eddie is a unique surf contest on Oahu — in fact, The Eddie only runs when conditions reach the 20-foot-plus range (Hawaiian scale 40- to 50-foot faces), It’s only run nine times in its history. Aikau’s surviving brothers and sister, Solomon, Clyde and Myra, told reporters they’re relieved everyone was able to come together to maintain the integrity and Hawaiian spirit of the competition. "The Eddie" is back on, after an ongoing dispute between the Aikau family and Quicksilver threatened to halt the contest. The news station reports that the contest’s holding period will extend to Feb. 28, 2017. A significant number of the world’s greatest big-wave surfers will gather to show their respect for one of their heroes. Now that The Eddie is back on, surfers around the world are breathing a sigh of relief — not to mention. visitors who plan their trips around this amazing surf contest on Oahu. So keep your eye out for the REALLY big waves this year, and make sure you’re ready if The Eddie DOES go this year!